11 stories with comic-strip illustrations about immortal warlock Magnus Bane from Cassandra Clare's Shadowhunter novels The perfect gift for Shadowhunters everywhere. 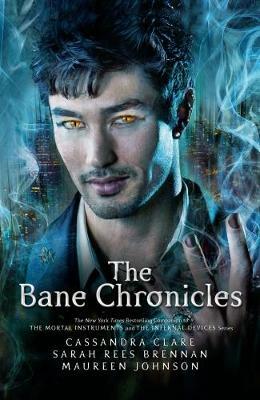 Eleven stories and comic-strip illustrations featuring immortal warlock Magnus Bane. A fan-favourite character from Cassandra Clare's Shadowhunter Chronicles, Magnus features in The Mortal Instruments, The Infernal Devices, Tales from the Shadowhunter Academy, The Dark Artifices and the movie and TV series of City of Bones. Magnus will never be able to tell all of his tales. No one would believe him. But these stories shed a little light on his often inscrutable character. They are stories he probably wishes had never got out. One of the world’s of the world’s most successful fantasy fiction authors, Cassandra Clare is the author of the bestselling Shadowhunter Chronicles. These include several series beginning with the original Mortal Instruments six-book sequence and now incorporating The Infernal Devices series and The Dark Artifices Trilogy. Essential to read as I'm finding little bits are referenced in newer books, however, I started this book, put it down and haven't picked it back up.